Your competitors can show you how to position your business so you stand out from the competition. Positioning is how you make clients in your area choose you over others in the area you serve. Your ALCA or Care management competition survey, ( which should so yearly by getting a mystery shopper). The Trump administration says there are lots of people out there be a mystery shopper since he shut the government down. 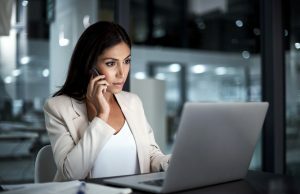 These mystery shopper calls ( the coast guard or your staff) let you identify and survey other direct GCM competitors like the area agency on aging which may have a GCM arm or for-profits like accountants or elder law attorneys who include geriatric care management in their service mix. Identify substitute providers like hospitals, often through their home health services. These can also be part of your competition to take market share from you. Private duty home care agencies offer geriatric care management to their web site. But you have to discover whether they have a certified aging life geriatric care manager as part of their staff. Tracking this down takes having a secret shopper calling all of these agencies and talking to the actual geriatric care manager and asking for their credentials, prices, services, and many more variables. Professional Patient advocates in your area should also be tracked as possible competitors. Non-profits often spin off for profit geriatric care management arms to help with the more needy clients they serve. Many religious denominations have geriatric care as a choice so you can learn how they are leveraging their brand. Area Agencies on Aging offer private geriatric care management and can do a good job of leveraging their respect and brand in the community. Trust departments or wealth management services can have care management to assist with their elderly clients or the adult children in wealth management, who care for their parents. 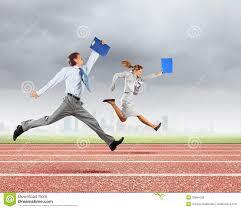 All these competition surveys will show you marketing/positioning alternatives in your this competitive landscape. They will show how to better brand and shape your branding message- so you are the top choice of customers. Find out how you can position your own GCM/ALCA agency, over your competition and be chosen by clients seeking care for loved ones. Well-heeled seniors, according to the New York Times, may be middle-class retirees who buy shoes from Payless but have a defined pension where that allows them to afford care at home when they need it and private care management. They rode the postwar economy, held jobs long term and through that defined pension (no 401K) face a very healthy financial picture in aging. They worked for city, county, state government are teachers, truck drivers, social workers or were union members in all trades. They had a career at Xerox, IBM, Campbell Soup and big Fortune 500 companies. An aging life or geriatric care manager must still use different branding, marketing approach and hyper- attention to seamless care to find these middle-class concierge clients who are affluent clients who can afford their services long term. This niche market within a market will be careful shoppers, as they have lived frugal lives before retirement, so beyond great services , have a great intake process, perfect elevator pitch and give them care management products not “peace of mind” and assessment. Give Yourself a Great Valentines Gift. 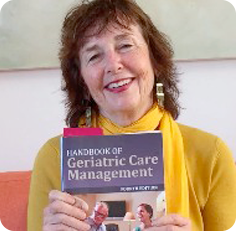 If you are an aging life care manager or geriatric care manager, nurse care manager or in the eldercare field, give yourself a perfect Valentine gift and learn how to write a geriatric assessment for families or court based on my book Handbook of Geriatric Care Management 4th edition. You can send me a written geriatric assessment you are writing or we will have a sample family example in the class that we will develop it together over the five weeks. It starts in a on Valentine’s Day and 1 more spot in open in the small INTENSIVE 5-person class. -Sign Up Now BEFORE time runs out to a class that gives you the perfect product to attract elderlaw and aging family clients. WHAT ARE THE BIGGEST ERRORS GCM MAKE IN WRITING A GERIATRIC ASSESSMENT? You are a detective and need to gather all the information (clues about the case in the beginning). This means talk to all family members, friends ,formal supports, to understand what are all the problems and how will you evaluate them. This includes using all assessment tools and gathering all records, medical, hospital etc. One daughter says her father is confused and needs her care– not a paid care giver. Another daughter says that the first daughter has taken financial advantage of the client by withdrawing money from the Dad’s bank and should not be the care provider. You do not check the father’s bank account to see that daughter has made withdrawals for her father’s accounts, which she has. Even though your geriatric assessment has every section included and fully filled out, with your care plan and logical conclusions well stated and correct, with perfect recommendations —if you used poor spelling and grammar, the family or attorney will discount it because of your poor writing presentation. For example, don’t put information about the client’s depression in the Home Management section of your geriatric assessment. Mrs. Typhoon feeling depressed does not go in the home safety section. Do not commingle sections. Write a tight outline, follow it, and make your written assessment cohesive. Make sure your facts are presented clearly. In Mrs. Typhoon’s geriatric assessment, you would not say Problem: Mrs. Typhoon suffers from anxiety, based on your visit where you charted.” Ms.Typhoon looked full of anxiety.” You would state, “When visiting Mrs. Typhoon on November 1, 2026, Mrs. Typhoon stated to the GCM that she very anxious and wanted to take more of her zanex.” GCM checked with Dr. Feelgood and he said she is taking 10mg of zanex as needed. Your geriatric assessment must lead to coherence between solutions and problems. In the beginning of Mrs. Typhoon’s geriatric assessment, her daughter Ms. Tornado wanted you to find out why her mother had multiple falls, and what level of care her mother belonged in. You state she has fallen five times and needs a walker but never state where she falls, which is going down the steps to the laundry room, or offer a solution which could be a care provider do the laundry or moving to a single floor dwelling or both. Learn more about creating a care plan, doing multiple assessments and writing a geriatric assessment in my free webinar ‘ Writing a Winning Geriatric Assessment ” January 25 . Sign-up . Get 1.5 CEU’s from NACCUM. How Do You Edit a Geriatric Assessment So it is Affordable, Acceptable, Doable for Client Ms. Havisham? Are your solutions affordable? In your geriatric assessment, you discovered that Miss Havisham has about $1 million in assets and her nephew Mr. Dickens who has power of attorney for her for finances, is open to spending the money on care and services his aunt . So it seems you have an affordable care plan. Are your solutions acceptable? Will Mr. Dickens pay for a 7-day live-in? Ask him. Will Mr. Dickens carry through with all the interventions you are recommending to him? Did you discuss these recommendations with him? Will Ms. Havisham be noncompliant with another doctor? Will she accept a care provider? You can check whether some of these interventions are acceptable just by asking the client and family members. Whether interventions like the ones created for Ms. Havisham are acceptable will depend on whether the GCM can work with the client during care monitoring visits, as well as the quality of the care provider. Some of these interventions take time to become acceptable to the client. Is your plan care plan doable? Can Mr. Dickens get Ms. Havisham to the mental health assessment at the community hospital? Will Mr. Dickens follow through, or is his relationship with aunt so strained that Ms. Havisham might not go with her? Would it be better to have the GCM take Ms. Havisham? Learn more about creating a care plan, doing multiple assessments and writing a geriatric assessment in my free webinar ‘ Writing a Winning Geriatric Assessment ” January 25 . Sign-up . Get 1.5 CEU’s from NACCUM.